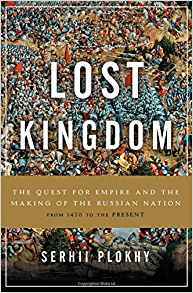 Serhii Plokhy is the author of the new book Lost Kingdom: The Quest for Empire and the Making of the Russian Nation. 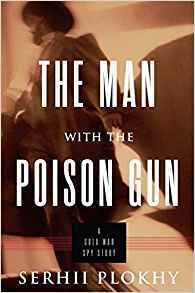 His other books include The Man with the Poison Gun, The Last Empire, and The Gates of Europe. 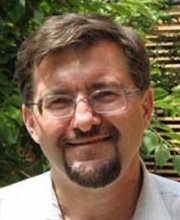 He is the Mykhailo Hrushevsky Professor of Ukrainian History and director of the Ukrainian Research Institute at Harvard, and he lives in Arlington, Massachusetts. Q: How would you define the “lost kingdom” in the title of your new book? A: There is more than one “lost kingdom” in the book. The first one is Kievan Rus, a medieval state that existed between the 10th and 12th, 13th centuries. It is a mythical past that is common for Russians, Ukrainians, and Belarusians. There is contestation of whose kingdom it was. In Russia, I argue, for the last four centuries, there is an underlying sense of historical identity and vision for the future suggesting the [unifying] of Kievan Rus. The pursuit of that historical mythology—you see it in attempts to restore the Roman or Hapsburg empires. It’s a vision of the lost kingdom, the unity of Slavs—it’s something that’s still very important for Russian identity today. I start the book with the latest addition to Moscow’s landscape—a statue to Prince Vladimir [who ruled in Kiev from 980 to 1015]. It’s the clearest example of the mythology of Kievan Rus that’s still at the center of Russian identity, and, I argue, Russian foreign policy. The second lost kingdom is the contemporary Russia of today. In pursuit of the lost kingdom, Russia lost its way in nationhood. It refuses to think of itself in terms of modern nationhood. Q: Yes, I was going to ask you about that statue in Moscow. Why did you start there, and can you say more about what the statue represents? A: When I started research for this book, it was a long time ago, and when I started writing, the statue was not there yet. I was looking for a good symbol—that what I was describing was not just a product of my imagination. I couldn’t dream there would be such a gift! The statue truly represents the phenomenon I discuss. It’s at the center of Moscow, it is the tallest—I couldn’t find a better example to start the book. Another is it celebrates Putin’s takeover of the Crimea. The cornerstone of the monument was brought from Crimea. According to legend, that’s where St. Vladimir accepted Christianity. Putin was present at the opening of the monument in November. He delivered a speech there, and said St. Vladimir laid the foundation for our common Russian-Ukrainian-Belarusian history. The monument celebrates the president, the war against the Ukrainian takeover of Crimea, and the loyalty of Russian mythology to the vision of the lost kingdom. Q: How would you define the relationship today between Russia and Ukraine? Poland? Belarus? A: All the countries you mentioned, 100 years ago belonged to one state, the Russian Empire—a good chunk of Poland, most of Ukraine, the entire Belarus. At that time, the time of the Russian Revolution in 1917, the Russian imperial government had problems with the Poles for more than 100 years. They were the first modern nation within the empire that demanded independence. The provisional government in St. Petersburg recognized the independence of Poland, but not Ukraine and Belarus. From that point of view, Poland was part of the former Russian possessions lost for a while. There is no common historical mythology that linked Russia and Poland. Finland is another example. Poland is historically related but also a symbol of the hostile West. In November, Russians celebrated the Day of National Unity. It was celebrated on a day when the Russians were able to retake Moscow and the Kremlin from Poland in the 17th century. The conflict with Poland is at the center of today’s Russian historical [memory]. Ukraine and Belarus are a very different story. They are successors of Kievan Rus. They are part of the space, cultural, geographical, and otherwise, that Russians considered, until 1917, Russia. They were Russians, in the mind of the Czar. Little Russians or White Russians, but Russians. The Revolution and the Soviet period changed that, mostly because of pro-independence movements in Ukraine. There was a recognition of Ukraine and Belarus as separate nations. In close union with Russia, they were founding fathers of the Soviet Union. It created a situation where they were considered separate but still really Russian. No one would say that up to 1991. Today, with the war in the Donbas and the takeover of the Crimea, Vladimir Putin goes back to pre-1919 thinking—he keeps repeating the same mantra, that Russians and Ukrainians are the same people. 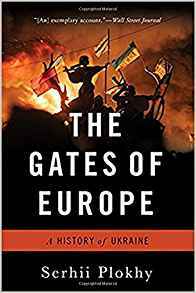 Q: You write, “It remains to be seen whether the annexation of the Crimea and the war in the Donbas are the final episodes in the disintegration of the USSR or a new and terrible stage in the reshaping of European borders and populations.” What do you think will happen next? There are two possibilities in the development of the story, to the degree it relates to Russian self-identification. One of them—if Russia continues the path set by the annexation of Crimea and the war in Donbas, and tries to bring under control of Russia all ethnic Russian territories and Russian-speaking territories, it’s not just a potential conflict with NATO over parts of Estonia. It can be a continuation of war in Ukraine, a takeover of Belarus, a close ally of Russia. They’ve just conducted big military exercises in Belarus. Think about it—Russia conducts military exercises in Belarus, an independent state. That’s one possibility, Estonia, Belarus, Ukraine--there can be other examples where the Russian leadership can use the pretext of the rights of the Russian minority and the Russian-speaking population. Another possibility is to think of Russia as a Slavic Orthodox state. Parts of the Russian Federation, [then,] don’t belong to Russia. Some Russian nationalists think Russian presence in the Caucasus is costly. Look at Chechnya. It’s basically an independent state within the state of Russia. The degree of autonomy is unprecedented. Chechnya is de facto already functioning, with the help of Russian money, as a state. It means if you push ethno-nationalism too far, there can be a [change in the] borders at the expense of the neighbors but also the disintegration of the Russian Federation. The first is more plausible and both are possible. 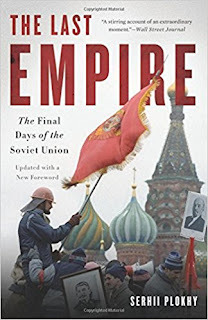 The story of the disintegration of the Soviet Union as the last European empire is not over. I hope this is the final stage, but you can’t exclude that there will be a continuation. A: A book on Chernobyl. I started working on it after The Last Empire, and then the war started and I was distracted by that. I had to write The Gates of Europe. This book—I explain it’s a continuation of an old project but [events] changed my plans. Now I will go back to the projects I started before the crisis. Q: Anything else we should know about Lost Kingdom? A: One thing—It’s very much a Russian story and a story that engulfs neighboring countries, but also a global story of the imperial power struggle with identity. We follow events in Catalonia, and the shifts and changes with Britain, a younger empire than Spain—we think about the Scottish situation. 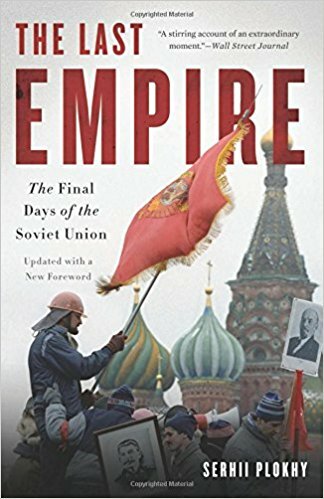 The Russian situation is unique but a part of a broader process happening in the world, a former imperial power’s struggle in keeping [its components] together. --Interview with Deborah Kalb. Here's a previous Q&A with Serhii Plokhy.